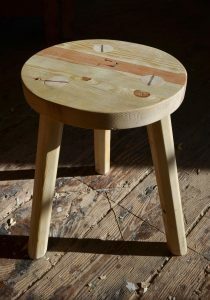 The fireside stool is held together with glue and wedges and is a great beginning woodworking project. It's extremely versatile for adults, children, and pets alike. You'll find yourself using it all over the house and your friends will marvel at its artistic beauty. No woodworking experience is necessary--over 200 have been built by our 5th to 8th-grade boatbuilding students. Includes all materials. 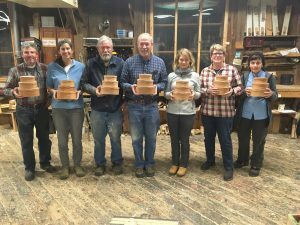 This class meets November 6 and 7, 2019 from 5-8 pm.